Underwater wildlife signals are supplemented with images of each indicated animal and useful information about its features, distribution, and human interactions. 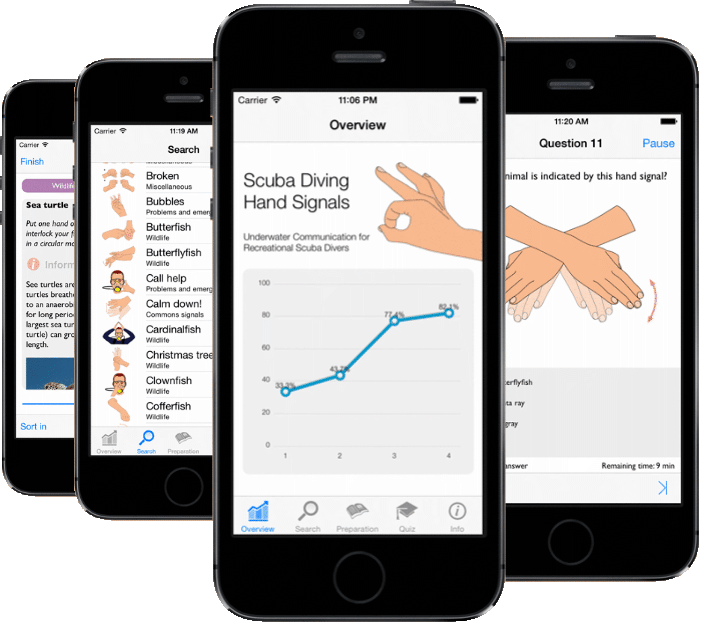 A quiz option makes learning sign language fun and lets you track your learning progress. The App is available for iPhone, iPod touch and iPad with iOS 10.0 or newer. Travelling without a smartphone? 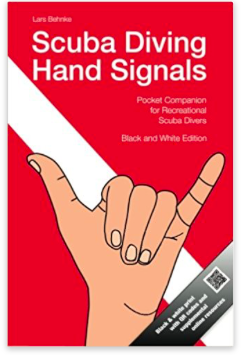 Scuba Diving Hand Signals is also available as paperback book. The hand signals are partly available online. Check out divingsignals.org. Scuba Diving Hand Signals attempts to provide a collection of underwater signals used by most divers. However, I am well aware that not all divers use the same signals and chances are that you won't agree with all of the signals presented here. So if you like to see signals added or changed in the next release, drop a note. Your feedback is welcome!